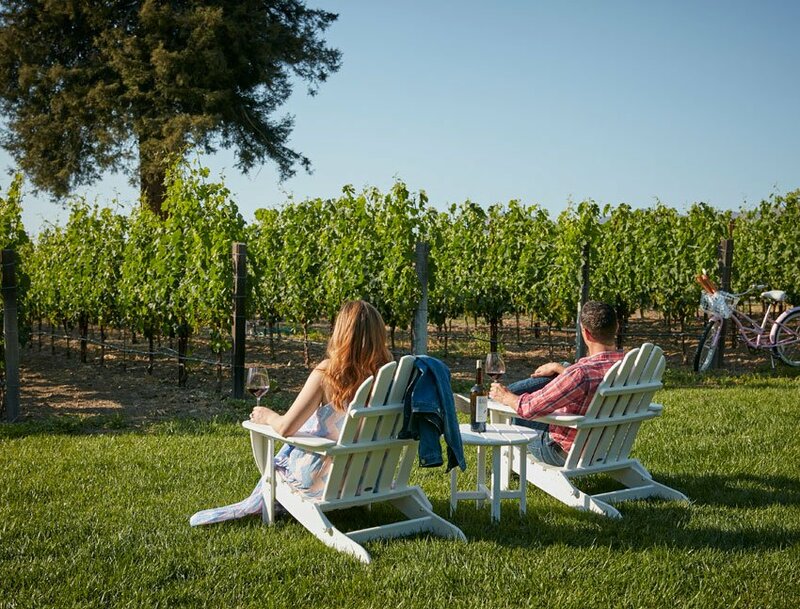 Ignite your romance and connect in the idyllic setting of Napa Valley. Our Romance & Rejuvenation Package at SENZA Hotel helps to set the mood for a romantic getaway, honeymoon, or anniversary. Settle into luxury accommodations overlooking the vines and unwind with a chilled bottle of sparkling wine and chocolate-covered strawberries upon arrival. When you're ready to relax, spend some quiet time together for a couple's massage at SENZA Spa or in the privacy of your room. Do you offer in room massages? Almost all SENZA Spa treatments are available in the privacy of your suite or on your terrace. Enjoy sensorial bodywork, including the Preferred, Trifecta, and Deep T massages without leaving your guestroom. Our skilled professionals bring all of the essentials to create a blissful and private experience. All in-room services are an additional $30 per treatment. Do you need to make spa reservations in advance? All treatments and services at SENZA Spa do require reservations. Please call the spa directly at (855) 253-6660, or our concierge can assist with your booking. We do sometimes have cancellations which free up time, so check back daily if it is a last-minute request. We will do our best to accommodate all appointments. Yes, SENZA Spa does offer couples massages. In fact, all SENZA Spa treatments can be enjoyed together in our Couple’s Room, on your private terrace, or in the privacy of your suite. The Senzate Massage is designed for couple’s only and infuses touches of Thai massage, polarity, and firm flowing strokes to create a massage that increases circulation and enlivens the life-force. The cost for a 60-minute couple massage is $165 (per person), and 90 minutes is $245 (per person). If enjoying the couples massage in your guestroom, there is an additional $30 charge. Which are some of your best facial massages? Our most popular facials at SENZA SPA are the Radiant Facial Massage and the Full Body Facial. The Radiant treatment is designed to protect your skin from free radical damage, giving you a radiant glow using exclusive organic products sourced from the Napa Valley. 60 minutes - $160, 90 minutes - $235, 120 minutes - $310. The Full Body Facial is only available in our SENZA treatment rooms and includes a foot soak, body exfoliation, body serum application, massage, and facial. Price is $390 for 150 minutes. If you must cancel, we require a 24-hour notice for treatments under 2 hours, and a 48-hour notice for treatments that are either 2 hours or more or group bookings. For some groups, a deposit is required. Late cancellations will result in a full charge. If you have any questions regarding our cancellation policy, please call us at 855-253-6660. Let romance come alive during your stay at SENZA. We'll set the mood with a chilled bottle of sparkling wine in your room and chocolate-covered strawberries. When you're ready to relax, you and your special someone will enjoy a couples massage in the spa or in the privacy of your guest room.